Federal Trade Commission Chairman Joseph Simons stopped short of joining a Justice Department pledge to expedite merger reviews, but he said his agency is tracking the process to see if it’s taking too long. The Federal Trade Commission’s new slate of leaders is being told by lawmakers and advocates to pay close attention to complaints that technology titans such as Alphabet Inc.'s Google are abusing their dominance. But formal investigations and enforcement activity on that question could test the boundaries of the law, analysts told Bloomberg Law. “On the whole, the environment is certainly more sympathetic toward calls for intervention, but there will still be the question of how do you carry this out in an actual antitrust case,” William Kovacic, an antitrust law professor at George Washington University and former FTC chairman in 2008 under President George W. Bush, told Bloomberg Law. Republican Joseph Simons, the new chairman, and four other commissioners picked by President Donald Trump, have vowed to hold the tech industry accountable to the antitrust laws. The commission is returning to full strength after a long period of unprecedented vacancies and appointment delays. Four of the five Trump nominees were sworn in this week, including Simons. The other new FTC commissioners are Noah Phillips (R), Rohit Chopra (D), and Rebecca Kelly Slaughter (D). The fifth nominee, Christine Wilson (R), will take office when sitting Republican commissioner Maureen Ohlhausen leaves the agency, according to the FTC. That could take a few months. Ohlhausen’s nomination is still pending before the Senate Judiciary Committee, which must hold a hearing and a vote before her confirmation can proceed to the full Senate. Ohlhausen, who had served as acting chairman until Simons arrived, has been nominated for a seat on the U.S. Court of Federal Claims. Ohlhausen and Democrat Terrell McSweeny were the only two commissioners for more than a year under Trump. McSweeny stepped down at the end of April. Google competitor Yelp Inc. is among the entities lining up to make their case to the new regulators. “I think we’re optimistic about the new FTC,” Luther Lowe, senior vice president of public policy at Yelp, a longtime Google critic, told Bloomberg Law. A clean slate of five new commissioners offers a rare opportunity for change at the agency, he said. Yelp plans to ramp up efforts to get a federal antitrust action against Google and is also in “active” communication with state attorneys general, according to Lowe. Yelp claims Google hasn’t abided by its promise to the FTC in 2013 to be unbiased in its search results. The FTC at that time investigated whether Google skewed search results to favor its own services, but it declined to bring an antimonopoly case against Google on behalf of Yelp and other search apps. Since the FTC closed its Google investigation in 2013, allegations against the tech giant have continued. The company has faced intense antitrust scrutiny in the European Union and is being investigated in the U.S. by the Missouri attorney general’s office. Thus far, however, federal U.S. enforcers haven’t gone after Google or other big tech companies for abusing their dominant positions. “All of this suggests that the time might be ripe for the FTC to look at Google again,” Seth Bloom, an antitrust attorney at Bloom Strategic Counsel LLC in Washington, told Bloomberg Law. 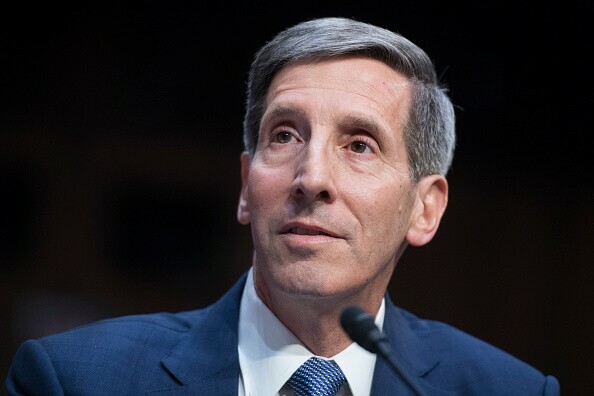 Simons is widely viewed as someone who takes the FTC’s antitrust mission seriously, said Bloom, a former Democratic general counsel for the Senate Judiciary Committee’s antitrust subcommittee. Prior to his current role, Simons was an antitrust partner at Paul, Weiss, Rifkind, Wharton & Garrison LLP. He also served as the FTC’s competition bureau chief from 2001 to 2003. A crucial clue to his views for the tech industry is his work on an antimonopoly suit against semiconductor manufacturer Rambus Inc. In that case, the commission voted 5-0 in 2002 to sue Rambus for deliberately withholding information about its patents to an industry standard-setting organization. On its consumer protection side, the FTC is investigating the data privacy practices of Facebook Inc. Concerns about tech companies played a prominent role during the Senate confirmation process for Trump’s FTC picks. Several senators raised questions about it during a Feb. 14 confirmation hearing, citing Google and Facebook Inc. by name. Simons told senators during his confirmation hearing that bigness shouldn’t be the overriding factor when it comes to antitrust enforcement. “Sometimes big is good, sometimes big is bad, and sometimes it’s both at the same time,” he said. If a company uses anticompetitive methods to get or stay big, “then we should be vigorously enforcing the laws and attacking that conduct,” he added. Wilson said at the same hearing that it may make sense to take “another look” at the big tech companies that the agency has targeted in the past. Simons has also indicated that he wants to look into criticism that the agency has been too lax in challenging mergers. It would be good practice to evaluate the commission’s merger enforcement program through regular “retrospective studies” to prevent potential problems in the future, Simons wrote in a filing submitted for his confirmation process. Such studies could be extended to non-merger matters, as well, he said.